The Eastern Slovakia region is located in a common space with other territorial units of the European Union, as defined according to the NUTS 2 classification. 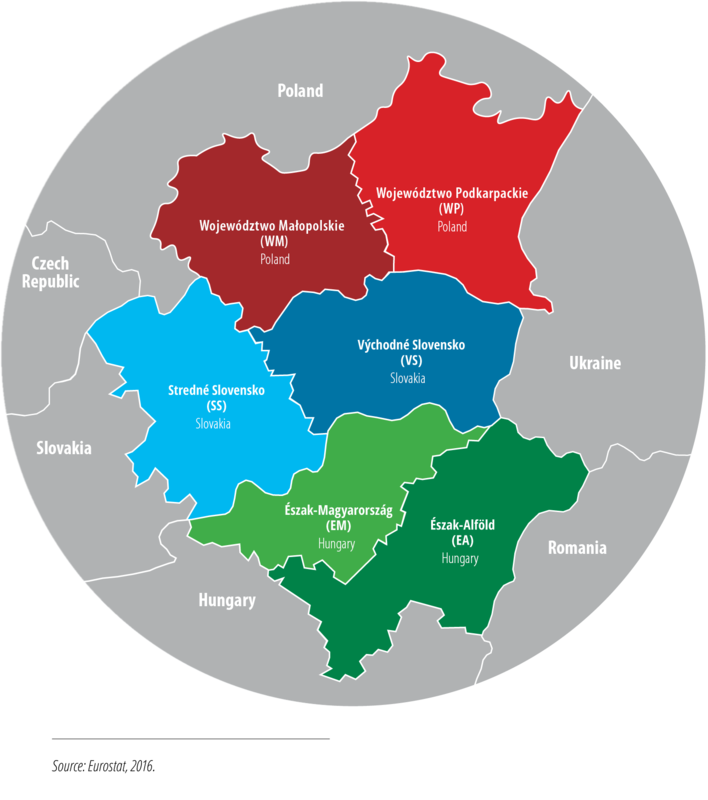 With comparisons of their basic economic parameters, we can see that the potential of Eastern Slovakia for further development is undisputed. A comparison of regional differences is among the declared goals of all economies of the new member countries of the European Union. The following table demonstrates the standing of the individual surrounding regions in comparison with the Slovakia.